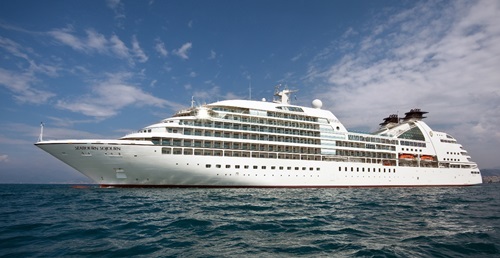 Seabourn, the world’s finest ultra-luxury cruise line, is continuing its quest to intrigue and inform guests with a new line-up of distinguished Seabourn Conversations guest speakers and personalities aboard Seabourn Sojourn’s upcoming Extended Explorations voyages beginning in October 2018. The popular onboard enrichment program will host distinguished speakers and personalities from a variety of fields including anthropology, space exploration, culinary, military history, and the arts. Hon. Sir Jim McLay KNZM QSO (November 2, 2018 voyage) – A New Zealand lawyer, politician, businessman and diplomat, Sir Jim McLay CNZM QSO was a member of the New Zealand Parliament and a Cabinet Minister, Deputy Prime Minister and Leader of the Opposition. He had a successful business career, including chairmanship of Macquarie New Zealand, and was director of a number of publicly listed companies. For six years, he led New Zealand’s representation at the United Nations in New York, and has performed a number of other diplomatic roles. Dr. Lawrence Blair (January 6, 2019 voyage) – Dr. Blair is a documentary filmmaker who co-produced the internationally-acclaimed and Emmy Award-winning BBC/PBS television seriesRing of Fire, highlighting his many years of exploration of Indonesia. He is also a Visiting Professor in the Department of Anthropology at the University of Southern California. Kevin Miller (January 16, 2019 voyage) – Miller is an internationally known traveler, adventurer, speaker, author, and leadership/business consultant whose action- and fun-packed seminars have delighted audiences everywhere. He is president of VisionBound International, Inc., an international consulting company, and is also a senior consultant for FranklinCovey. A retired career regular Army officer, Kevin served as a company commander in the 7th Infantry Division and was involved in Desert Storm. Bob Smolik (January 30, 2019 voyage) – Bob Smolik is a veteran diplomat and scholar, and has worked in various U.S. embassies around the world. His expertise as Diplomat in Residence at the University of Michigan is in economics and trade, as well as in U.N. human rights and NATO security issues. As an economic diplomat, he worked to open foreign markets to U.S. trade and investment on a fair and equal basis. He serves as ambassador of American society and culture, helping Washington to understand the political and economic dynamics of other nations.